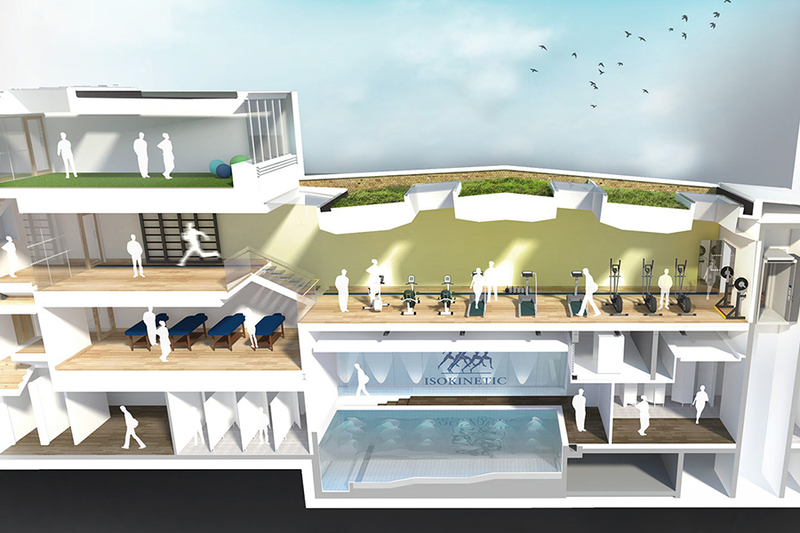 The project involved the redevelopment of an existing Grade listed building into a state of the art sports therapy centre within a constrained urban site located in Central London. The new works included extensive partial demolition of the rear of the existing property and reconstruction of a new three storey extension with double height basement to house a new hydrotherapy pool. Fairhurst provided all civil and structural engineering design services on the project. Due to the constrained site and difficult ground conditions, we worked closely with the Architect and Client to develop basement construction methods which maximised space but also enabled safe working conditions during construction. This led to developing a scheme of reinforced concrete underpins which were detailed such that they could be constructed safely in stages. We monitored the works closely during the construction stage to ensure the stability of the ground and surrounding structures were maintained. This project illustrates our capabilities to successfully deliver extensive refurbishment projects involving historical buildings. This project required Fairhurst to be both sensitive of the nature of the existing building whilst designing new elements which deliver the Client and Architect’s requirements.